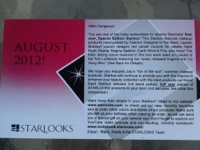 I was very excited to receive my August Starbox as I’ve been enjoying the products I’ve received thus far. For the very first time Starbox had a limited edition box! 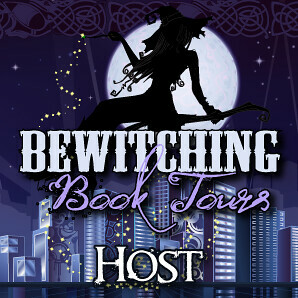 This one contained items hand picked by celebrity fashion designer Lauren Bradley. 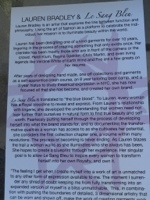 According to the note card included, Lauren Bradley not only wore the included makeup items in the Lookbook (on Starlooks website), but also featured items from her newly released lingerie line “Le Sang Bleu“. As usual my box arrived very quickly and this time was an all black box with red print and tied with a black ribbon. 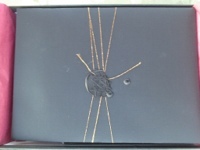 When I opened the box I found that in addition to the note card was metallic ribbon wrapped several times around a black envelope culminating in a black wax seal. I thought that the ribbon and seal were so unusual and pretty that I still haven’t unwrapped it. I have only seen wax seals a couple times, wax seals used to be very common. Not only are wax seals a beautiful decoration, but extremely practical as well. As it is impossible to preserve one once the envelope has been open and were a great way to make sure that only your intended recipient actually opened its contents. Seals were also often unique to their authors much like ones signature. I wish people still used wax seals more often. I’d very much love to have one of my own! 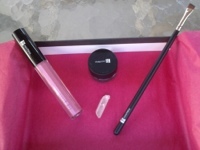 The first item I pulled out of the box was a lip gloss in the shade Pink Petal Rose. 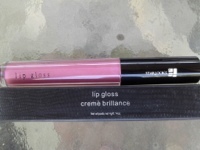 This fairly bright pearl pink lip gloss is creamy and not tacky feeling. The note card says it has a formula similar to Chanel lip glosses, but I’ll have to take their word for it as I’ve never owned a Chanel lip gloss or any Chanel cosmetics for that matter. It is a bit too pink for my taste as to what I typically pick out for myself and tend to prefer more of a (red) wine colored lip gloss and lipsticks. But it looks decent on and so it will be one that I’ll use. The second item I took out was a Pointed Slant Eyeliner Brush (#844) and like the brush I received in the June box is of excellent quality. I’ve mentioned before that I really do NEED brushes as I literally have about five full sized brushes with two of them being from Starlooks. 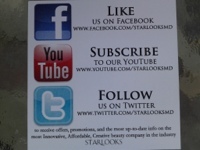 I would so very much LOVE a set of Starlooks brushes! Especially since the two I’ve used so far are extremely well made. 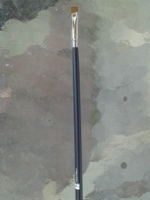 You’ll be able to see on the swatch below that this eyeliner brush draws a very ultra-fine line. 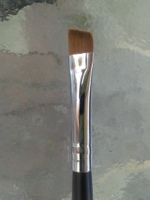 This 100% percent synthetic Japanese nylon brush that causes no gathering or grabbing of ones eyelid and is perfect for cream eyeliners. 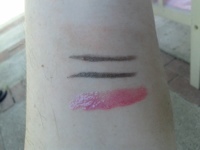 Which brings me to the third item, one of Starlooks Infinity cream eyeliners in the shade Sculpture. Sculpture is a very pretty charcoal grey that is also smudge and waterproof. 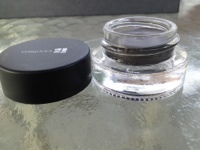 It is a very creamy color that should be able to go with just about any other color of makeup. I can’t wait to be able to try out all sorts of different looks! Before this one, I only had one other cream eyeliner that I purchased 75% off at Rite Aid in Black. 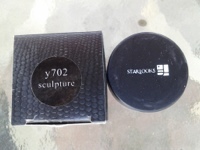 It came with a teeny tiny mini brush that is very stiff with a thicker edge than this Starlooks one. I felt very awkward using the pinky length brush, but had no trouble using the Starlooks one whose edge is about half the width than the drugstore chains version. 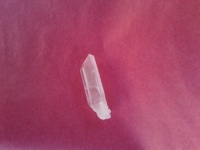 Lastly was another quartz crystal which last month’s card said would be included in each box from July on. A suggestion on the card last month was to start collecting them in a container as a brush holder. It’ll take a long time to have enough to use for that purpose. A thought of mine was wrap in wire and make a pendent out of which I still will probably do. I do however hope that other months contain colored and not just clear quartz. I did notice that the ‘value’ of this months box is significantly less than the June box and somewhat less than the July box. I personally hope for more brushes and eye makeup in future boxes. 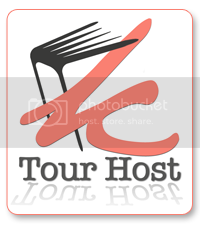 If you would like to read my previous reviews you can do so by clicking HERE for June’s review and HERE for July’s review. 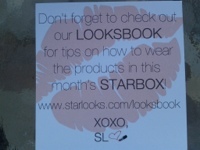 If you would like to subscribe to Starlook’s Starbox you can do so by clicking HERE. 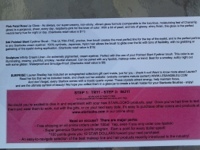 It is a monthly cost of $16.98 (including shipping). If you do decide to subscribe I would VERY much appreciate it if you could PLEASE list Jaclyn Cotton or Jaclyn’s Musings. And if you already subscribe to Starbox or any other monthly subscription service I’d love to hear what your favorite item(s) from August are!